Mr. Middleton is a 1965 graduate of Hampton University with a Bachelor of Science Degree in Mathematics. He has a Masters of Business Administration in Financial Management from Long Island University and has received Program Manager Certification from the Defense Acquisition University at Fort Belvoir, VA. He also has a Foundation Certification in Version 3, Information Technology Infrastructure Library (ITIL) and is a member of the Health Information Management Systems Society (HIMSS). He retired from the US Army in 1985 as a LTC after serving twenty years. His Army career included assignments as a Program Manager, ADP Staff Officer, ADP Plans and Operations Officer, and an ADP Instructor at the U.S. Military Academy. 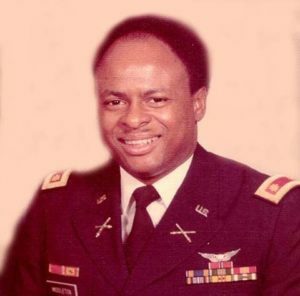 During his career, he developed user display requirements for strategic mobile command centers which included hardware and software on the President’s National Emergency Command Post (NEACP) aircraft; developed independent verification and validation requirements for the National Military Command Systems (NMCS) Nuclear Planning and Execution System (NPES); and developed user display requirements for the Tactical Operations Systems (TOS) and the field artillery Tactical Fire Direction System (TACFIRE). Mr. Middleton has over forty-five years of professional hands on data processing experience in project management, systems engineering and integration, design, development, life cycle methodologies, testing and documentation. 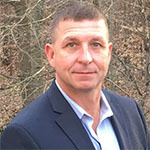 His detailed experience includes DOD program planning; systems conversion and installation; systems concept design and development; review and/or development of project master plans, test plans, functional descriptions of tactical and strategic command and control: systems design of menu driven software; education and training; and concepts supporting human factors engineering. 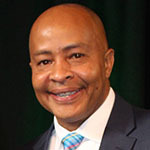 He currently serves as the President/Chief Operating Officer for Management Support Technology, Inc. (MSTI) – a Virginia firm based in Fairfax, VA. 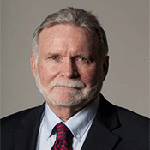 He has been with MSTI since 1998 and assumed the President/COO position in 2005. Under his leadership, MSTI has tripled its size in employees and revenues. 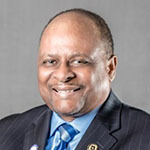 Prior to joining MSTI, he served as Executive Vice President of several small businesses focusing on information technology (IT) and business development. He also worked for large firms – serving as the Eaton Corporation Program Manager for the U.S. Navy (LANTCOM) Theater Intelligence Network (LATIN) Phase I contract at the Norfolk Naval Base and as a Senior Systems Engineer with the General Electric Company performing independent verification and validation of Guidance Control Modules for TRIDENT Mark II Ballistic Missile System. Mr. Middleton is a member of Antioch Baptist Church in Fairfax Station, VA and the International Omega Psi Phi Fraternity, Inc. He is also the President of the Board of Directors for the Omega Psi Phi Fraternity Federal Credit Union. He has also served as an adjunct professor in the data processing departments of the Northern Virginia Community College and Strayer University.